We’ve got a big week ahead. Three VQs this week: Sleep Number, MIB, and Uncle Rico. Saturday, we’re doing an early morning ruck sim to prepare for GrowRuck. Sunday, we’re doing a 2.0 workout with FiA. Details below. Deny the fartsack and post! We have the privilege of helping two new regions get off the ground. The mission of F3 is to plant, serve, and grow men’s workout groups for the invigoration of male community leadership. We’ve been doing awesome planting new AOs in the Memphis area, and now it’s time to start branching out. In August, we’ll be helping launch F3 in Mobile, AL. Martin, TN launch has been pushed to October. Join the #plant channels in Slack to get in on the action. Bottomless will Q 8/25 – Joining him are Bruce, O Positive, and Four Eyes. Memphis will Q dates are TBD. Free lodging will be available. Registration is open! Go pay your deposit! We are potentially being capped at 70 PAX unless registration jumps quickly in the next couple of weeks. Go ahead and HC. This is one time when FOMO is real and justified. You don’t want to be that guy the week after GrowRuck hearing all of our stories and lessons learned. All 3 F’s will be out in full force. 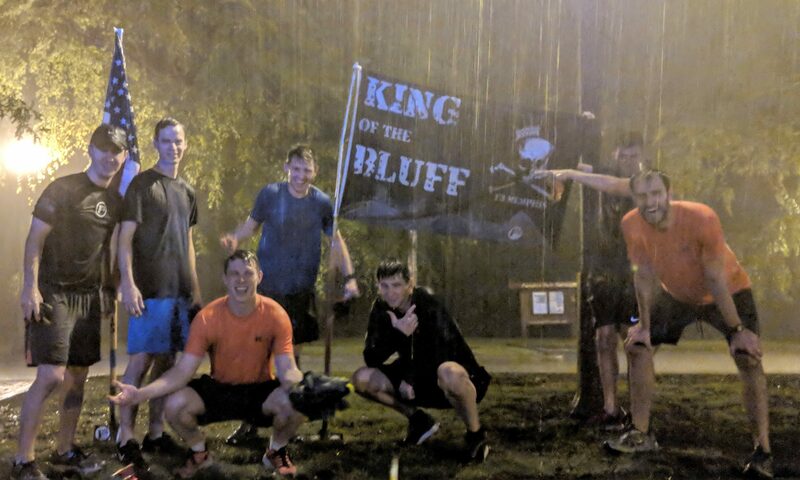 We sent nine HIM to Chattanooga last year for GrowRuck 05, and we all came home with stronger bonds as brothers, lots of personal lessons, and a greater appreciation of F3’s mission/vision and the IMPACT we can have on Sad Clown Syndrome in our community. We’re competing with several other regions to see who can EH the most FNGs. We’ve got 103+ since the beginning of June. Keep headlocking, and don’t neglect our newest PAX! If you’re looking for material for your COT, check out this week’s QSource on Articulation and follow @F3QSource on twitter. – Ruck Sim, **READ THE EVENT PREBLAST** Startex South Hyde Lake Lot at Shelby Farms, 3:00-7:00 am – Soybean on Q – This is prep for GrowRuck. We will ruck hard and heavy for 4 hours, then rendezvous with the sane PAX for bootcamp at Mothership. You will have the option of rucking back to startex after Mothership. – 2.0 Workout with FiA Memphis, The Mothership (Shelby Farms – FedEx Event Center Lot), 3:00-3:45 pm, All kids, wives, etc welcome – Soybean on Q – There will be water balloons, so have your 2.0s dress accordingly.